Ferrari 599 GTB is a Gran Turismo flagship model, which is placed in D+ segment. The car is ultra spacious, luxurious and has various comfort features. 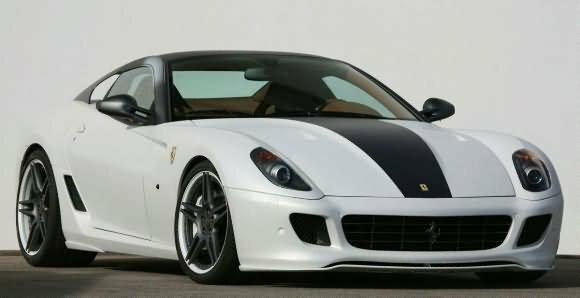 Appearance: Ferrari 599 GTB is influenced by American-muscle car styling. The long bonnet with pronounced haunches reflect the American influence. The frontage is adorned by broad auto headlamp and body colored bumpers. All the above mentioned features make the two seater car very stylish and elegant. Comfort: Ferrari 599 GTB has a number of comfort features. The car has leather seats (adjustable driver seat being an added feature). The car is fitted with a powerful A.C. with Climate Control. Other comfort features include Power Windows, Remote Central Locking, Remote Fuel Filler, Rear Defogger, Adjustment Steering, Buttons/Controls on Steering and Auto Viper. 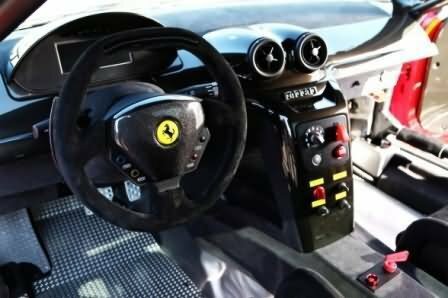 Ferrari 599 GTB has a hi-tech audio system also. LEDs on the steering wheel are really mind blowing. The car is also fitted with Tachometer, ORVM indicator, 3 Trip meters, sports wing mirrors, tyre-pressure and temperature monitoring system, headlamp washer, a compact flash drive, a voice control and Bluetooth connectivity. Safety: Ferrari 599 GTB has a number of safety features. The standard safety features include 4 airbags, Parking Sensors, Fog Lamp, Traction Control, Launch Control, EBD, (Anti-Lock Braking System) ABS and ESP. Engine: Ferrari 599 GTB is fitted with 6 litre, 5999 cc, V12 Petrol engine. The engine produces a maximum power of 620 bhp at 7600 rpm and a maximum torque of 608Nm at 5600 rpm. Price: The price of Ferrari 599 GTB is Rs. 3,60,00,000 (taking Mumbai as base price location). However, this is approximate price and excludes tax, registration, insurance and cost of accessories.